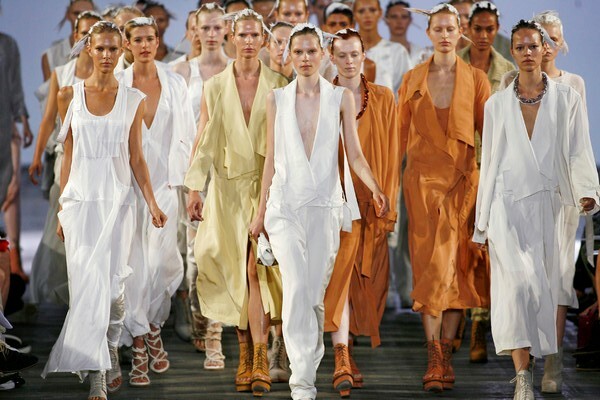 The fashion show of 26-year old designer Alexander Wang was one of the first big shows of New York Fashion Week. 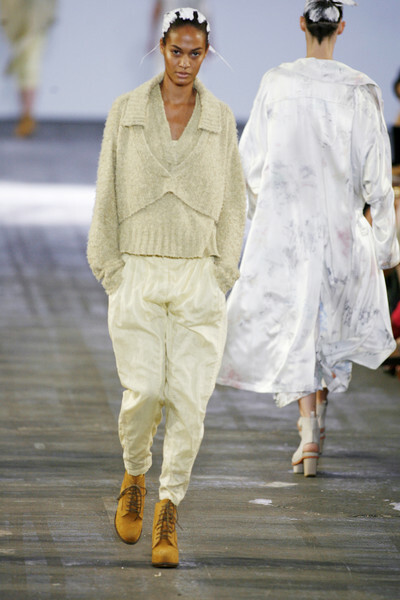 Celebs like Lenny Kravitz, M.I.A en model Erin Wasson attended the show, which seemed to be inspired by painters. 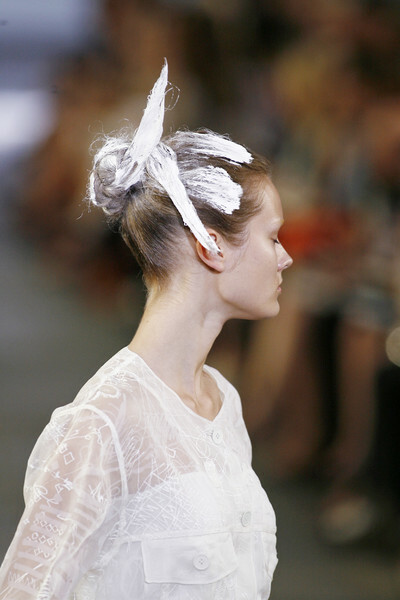 Models walked the runway like they’d just left their painting jobs, they had white paint (which was actually clay) in their hair and were wearing white overalls. 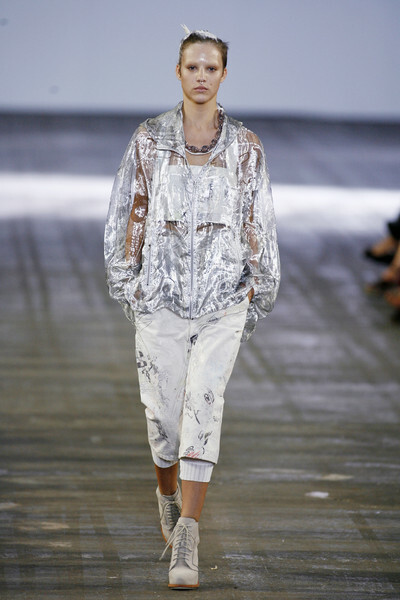 All clothes were very loose-fitting and therefore appeared rather street-chic. The girls all looked very fresh in their light-colored outfits. Their bleached eyebrows and clean faces added to that. 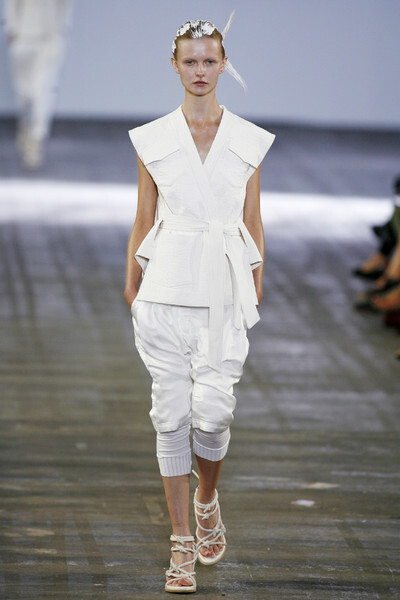 Knowing Alexander Wang normally uses lots of black this lightness came as quite a surprise. Like more designers this season Wang chose to work with parachute silk. He showed some printed versions (on which unfinished crossword puzzles could be seen) and combined it with sheer fabrics. 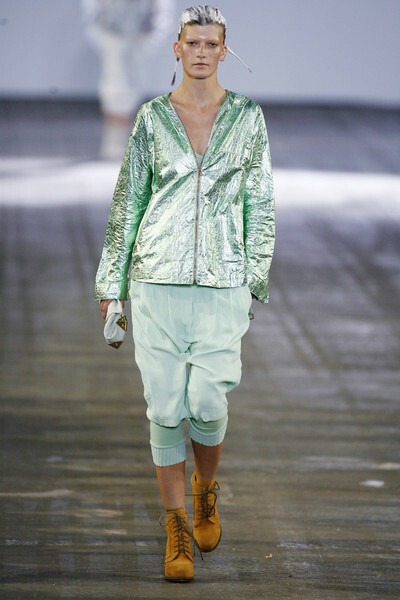 Apart from the white he introduced some funky mint green and a couple of terracotta-shaded designs. The collection was cool and fresh and is sure to become a hit. The designs are not quite the catch for women looking for lady-like clothes, but the ‘models off-duty’, Wang usually designs for, are bound to fall in love with them.